Posted on April 30, 2014 by J.
I am in complete sympathy with the actor about not feeling up to par against Richard Burton when it comes to speaking the poetic language in Equus. If you don’t feel you have the resonant, deep voice that Burton possesses, or the hypnotic charm of Anthony Hopkins’ tenor, feeling inadequate is completely understandable. Ignoring that aspect of the writing this early in rehearsals isn’t really a problem. Going for the emotional connection to the material is the primary concern when you first pick up a script. Getting to know who your character is and why he responds to his circumstances as he does is more important than the language that he uses. There is plenty of time to give close attention to the nature of the language later in the rehearsal period. On the other hand, I’m not sure that you should entirely ignore it up front. My own inclination when I deal with poetic plays is to pay attention to the language for its own sake first, for a single reading. To say the words out loud, to feel them in my mouth, to hear the sounds mingle, to let the images they create rise up before me. I don’t read much poetry. It’s not my thing. But poetic prose grabs my attention. There is an element in it that doesn’t exist in non-poetic prose and which cannot be separated from the meaning of the words. They are entwined. What is poetic prose? It’s when a character speaks in a way that people don’t ordinarily. Newspapers write to an eighth grade education level, and most of us use that same vocabulary in everyday speech. But poetic language is different. It uses words and phrases like “embrace”, “straining to jump clean-hoofed”, and “one more dented little face”. When was the last time you spoke like that? There is a reason why Burton and Hopkins have played this role. They are unafraid of poetic language. They are happy to savor it, to lay it out for your inspection. They understand its power. It is subtext on steroids. Their success lies not so much in their vocal instrument as it is does in their appreciation of the power of language and their willingness to let the words work their magic. That is something you are capable of doing, as well, no matter what sort of voice you have. Part of the key to understanding Dysart involves throwing yourself into the language. You may not reach a full appreciation of it until deep into rehearsals, but you need to deal with its impact on the play well before then. You can’t separate out the fact without the feel that goes along with it. Shaffer’s later works are ALL poetic in nature. It is part of who he is as a playwright. 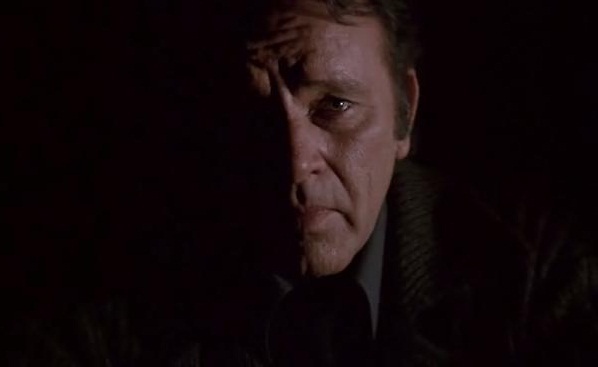 No, you shouldn’t try to imitate Richard Burton’s way of wrapping his voice around words. But you do have to find your own way of entering them and letting them wash over your tongue. Poetry is dense. It takes a while to uncover its mysteries. Understanding poetry is work for the subconscious. You must revisit it, over and over, out loud – not silently, in your head, for poetry is meant to be spoken – in order to let your subconscious infiltrate it and unwrap its meaning. To read Equus, Part I: The Three Questions, go here. To read Equus, Part III: The First Five Minutes, go here.